During the 1800s publishers began looking for an economical way to produce books in large quantities. Cloth covers replaced leather, and case binding (where the text block and cover were produced separately and the cover was then attached with glue) became the norm. Although these bindings were economical, they were often ornately decorated with gold or silver stamping and illustrations that reflected not only the book’s subject matter, but also the artistic style of the day. Following are a few examples of decorative publisher’s bindings from Ohioana’s collection. Alfred Henry Lewis was born in 1855 in Cleveland. After working as a prosecuting attorney he gave up law and became a journalist, working as a reporter for the Chicago Times and as editor of the Chicago Times-Herald. During his career Lewis published numerous magazine articles and short stories and a dozen novels. 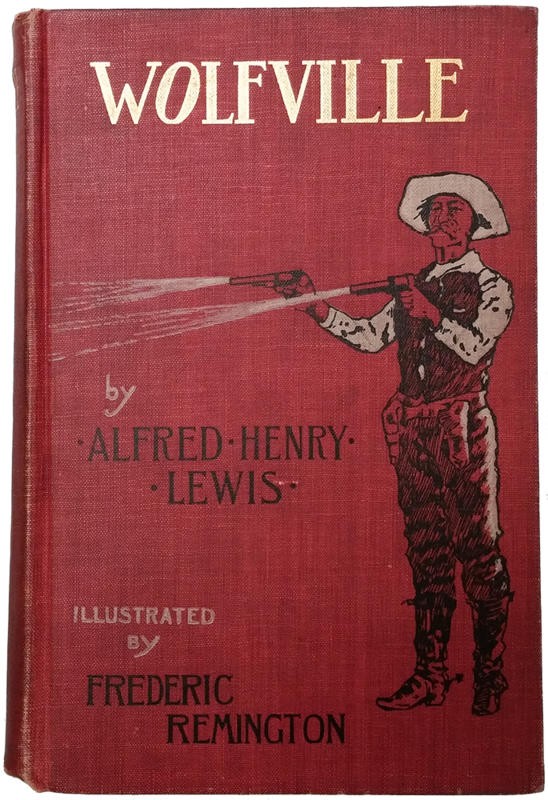 Wolfville was his first published book; this 1897 edition was published by the Frederick A. Stokes Company and contains illustrations by Frederic Remington. Paul Laurence Dunbar was born in 1872 in Dayton, where he was a classmate of Orville Wright. He wrote for Dayton community newspapers, published an African-American newsletter, and worked as an elevator operator while writing poetry. His work gained notice among literary figures including Indiana poet James Whitcomb Riley and Ohio-born novelist and Atlantic Monthly editor William Dean Howells. Dunbar eventually achieved international fame. Although he is best known for his poetry, he also wrote short stories, novels, plays, and songs. He died in Dayton in 1906. This edition of Li’l’ Gal was published by Dodd, Mead and Co. in 1904. The cover and highly decorated interior pages were created by Margaret Armstrong; you can see her initials at the base of the bouquet. Armstrong was one of several prominent women designers working in publishing during the late 1800s and early 1900s. 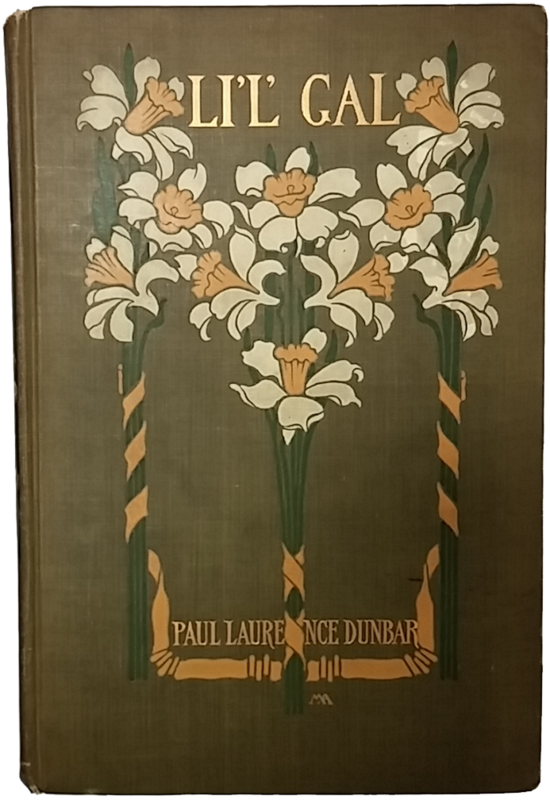 She specialized in nature-inspired themes and worked on several of Dunbar’s books. Finally, we have two books by William Dean Howells. Howells was born in 1837 in Martin’s Ferry, Ohio. His father was a newspaperman, and Howells often helped with typesetting and printing as a boy. 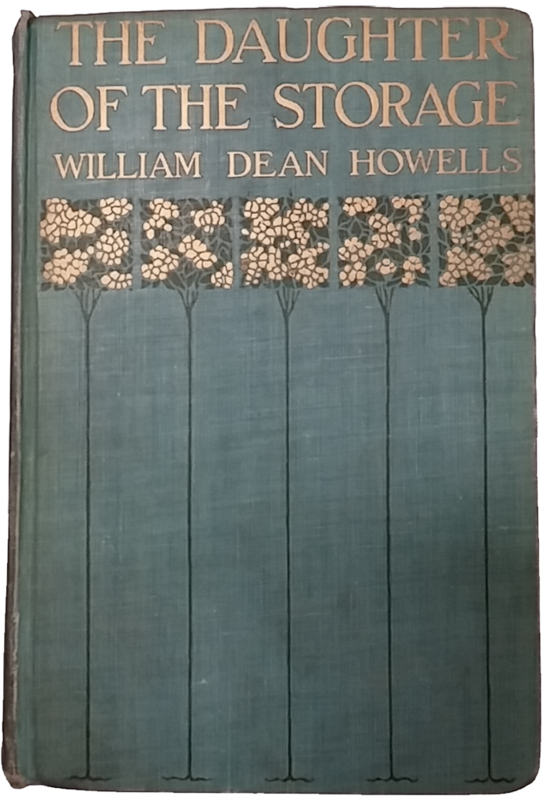 In 1858 Howells began to work at the Ohio State Journal, where he wrote poetry and short stories. As a reward for writing a campaign biography of Abraham Lincoln, Howells was appointed U.S. consul in Venice, Italy in 1861. After his return he became editor of the The Atlantic Monthly in Boston. In this position he helped introduce new European and American Realist authors to American readers, and supported such writers as Paul Laurence Dunbar, Stephen Crane, and Mark Twain (with whom he formed a lifelong friendship). However, some of Howell’s most critically acclaimed books were written after he left The Atlantic, including his best-known work, The Rise of Silas Lapham. Howells wrote more than 40 novels and short story collections before his death in 1920. 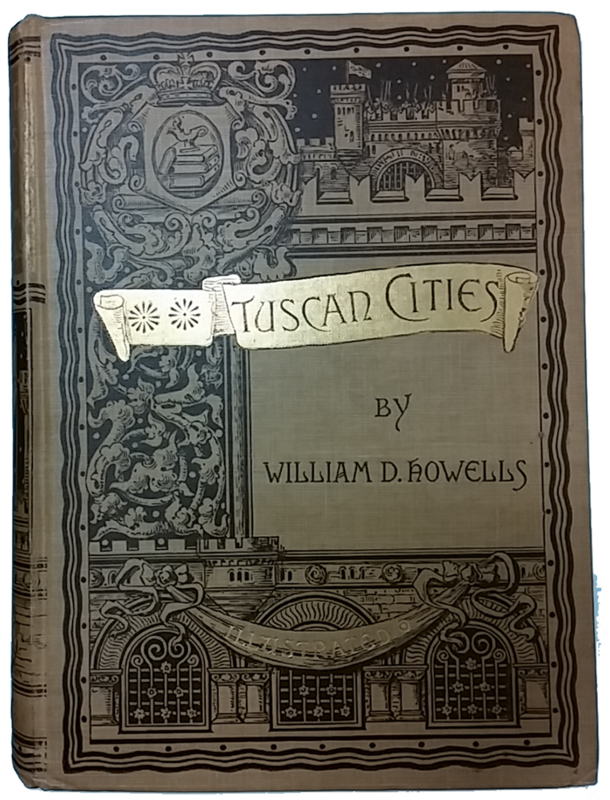 The edition of Tuscan Cities above right was published in Boston by Ticknor and Company in 1886. The Daughter of the Storage, a collection of short stories and poems, was published by Harper & Brothers Publishers in 1916. To see more decorative publishers’ bindings, visit Publishers’ Bindings Online, a joint project of The University of Alabama, University Libraries and the University of Wisconsin-Madison Libraries.